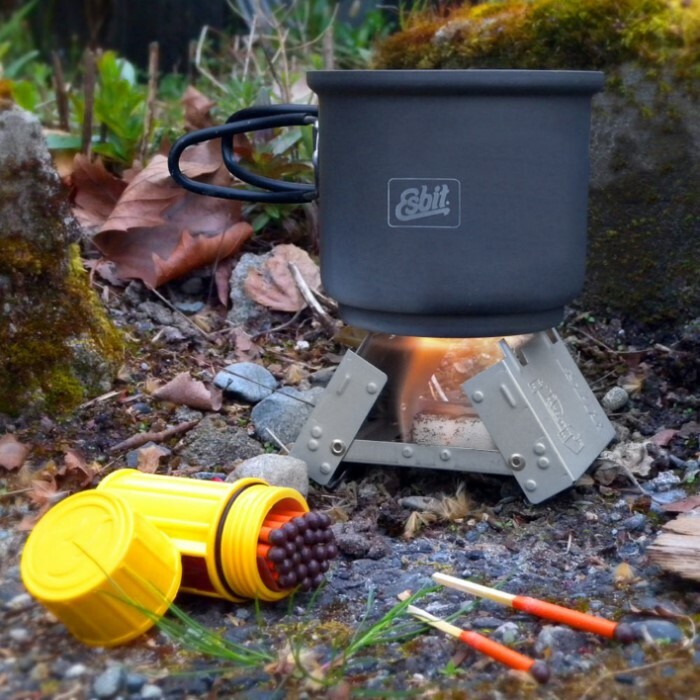 Esbit Pocket Stove With Six Fuel Cubes | BUDK.com - Knives & Swords At The Lowest Prices! One of those great things for your bug-out bags for sure. My only problem is that when you hold it, it doesn't feel as solid as I'd like and that in the picture with it holding a pot makes it look bigger, if you want an idea of it's size just replace that pot with a normal sized coffee cup. This was very usefull for my latest camping trip because I cooked steak on it and it was delicious. 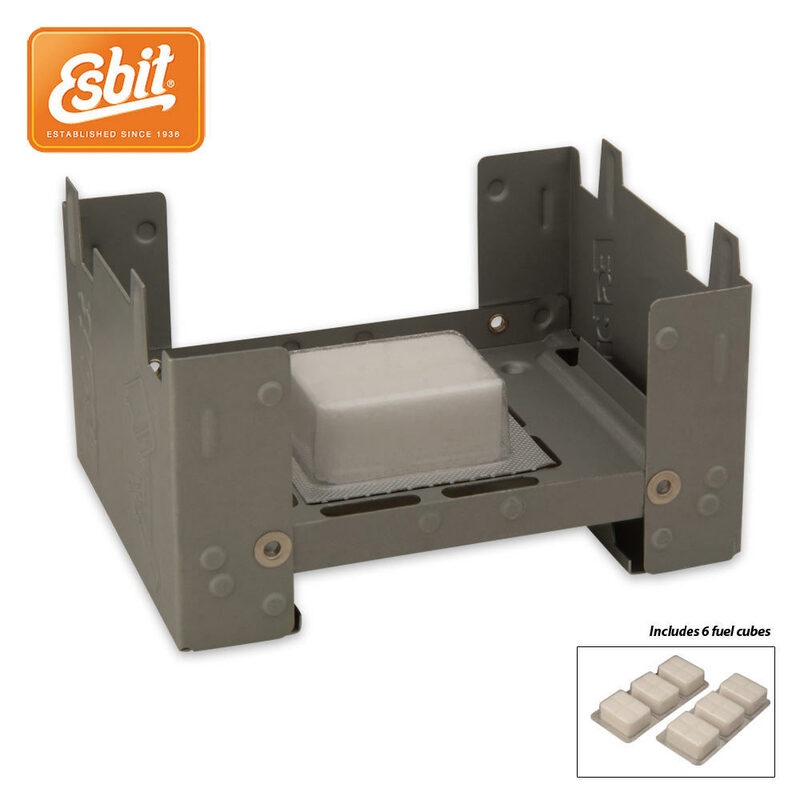 I would also recommend the pack of 8 extra fuel cubes to anyone that purchases this great product. excellent for your bugout bag !! 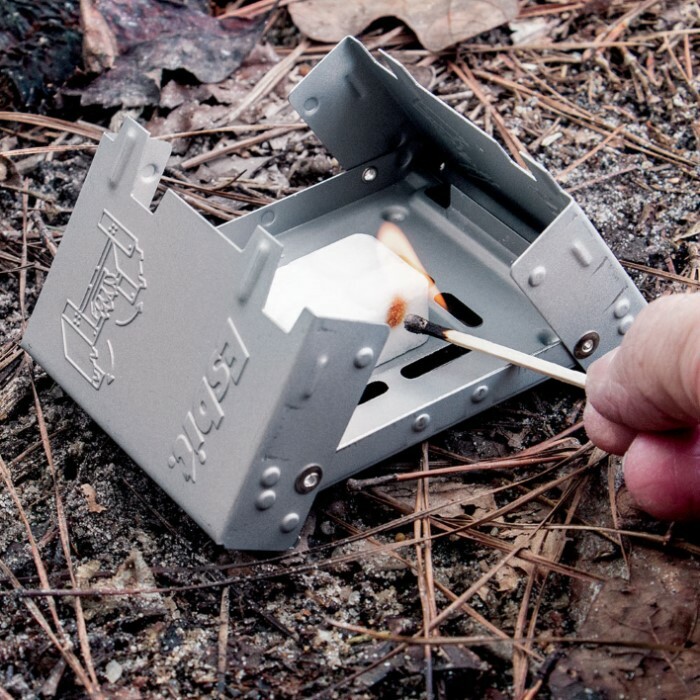 Small easy to use and store in your bugout bag,you can easily carry a couple of them with plenty of fuel !